In 2010, Steve Jobs launched a computing revolution. As one of technology’s most inspirational leaders over the past 30 years, he pulled another rabbit out of his hat, unveiling a product which would further propel his company towards becoming the World’s most valuable company. The product was the Apple iPad, ridiculed at first as an oversized iPhone, the iPad would go on to sell tens of millions of units. In Britain alone, 20 million people own tablets. When Jobs declared a post-PC World, few cared to differ. Blackberry boss Thorsten Heins is one dissenter though. In May 2013 he declared that “tablets will be dead in five years”. Considering the outlandish success of the tablet, this seems quite the claim, but it does warrant a serious question – are tablets just a fad? There’s no doubt that tablets have been a huge success for Apple and Samsung. They have catapulted the two tech giants to a whole new level of profitability having opened up a whole new segment of consumer technology. Yet, as crazy as this assertion is, it’s not quite as worthy of ridicule as it sounds. The BlackBerry vision is of a World where we own a number of screens which are powered by our smart phones. They believe, as most of us do, that smart phones are only going to get smarter over the coming years. Where BlackBerry’s vision may differ slightly is in the fact that they imagine a World where all of your screens act in a similar way to a PC monitor – as display units with no CPU or ‘intelligence’ built in. Our homes and offices would thus be filled with inert screens that come to life when in talking distance of our smartphones. This is, in Heins words, the beginning of the age of ‘portable computing’. Your phone is going nowhere any time soon, that’s for sure. Highly portable and super powerful, the average Brit checks their smart phone over 100 times a day. We’re a nation attached to our smartphone and we’re not alone. In emerging markets like China, they have bypassed the whole PC age and have gone straight to mobile. In online advertising, the major companies are lining up behind mobile, and where the ad dollars are pointed the eye balls are certain to be. It shouldn’t be forgotten that in tablets, BlackBerry are panning a device that they have on their roster. The Playbook launched in 2011 to complete market indifference. Launching minus email, BlackBerry shipped a meagre 150,000 units in Q3 2012 and lost $485m writing down unsold units. So are BlackBerry just sore over tablets? Maybe, but then again tablets have definite drawbacks. For one, they have limited functionality. Perhaps even more critically, they offer nothing that either a smartphone or a notebook can’t deliver. 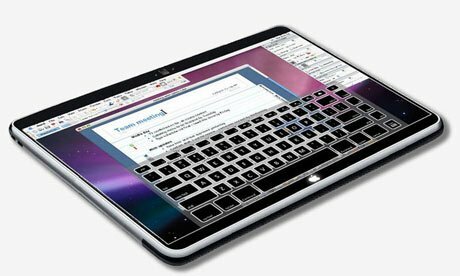 Devices like the iPad come without a keyboard, which severely limits their ability to be a productive tool in the workplace and they pack much lower specifications than notebooks with regards to memory and processor power. To add insult to injury, they come in at a significantly higher price. Secondly, tablets are also difficult to carry around. A phone fits snuggly in your pocket, perhaps too snuggly if you have a phablet, but besides you can carry the device easily. There’s an argument to say that if you’re going to go to the effort of carrying around an additional device to your phone, then you’re probably in need of a significantly more powerful device, like a notebook. Thirdly, there appear to be the first signs of waning excitement in the market for tablets. Sales began to slow as early as the iPad 2, when reviews came in mixed for the first time. Ultrabooks have since taken off in a big way, and the movement towards tablet/laptop combos suggest that the manufacturers now recognise that a keyboard-less device has limited use outside of internet browsing and eBook reading. However it can’t be argued that tablets have found a significant niche. As the iPad 5 approaches, allied with the new iOS operating system, not to mention the wave of new android powered devices, it’s a given that sales will remain strong. Are we heading towards a BlackBerry envisaged world where our smartphone powers everything? Most probably. Will we get there in the next five years? That’s hard to say in the super-fast moving world of high tech. Even if we do though, that still gives us five more iterations of the iPad to look forward to, and by then it will have had a dammed good run.